Hello and Welcome to Day 3 (the final day) of previews for the February release for Sparkle Creations Rubber Stamps! Sparkle is releasing 2 new SCRS images and 1 new Karber clear set, and they are available now! 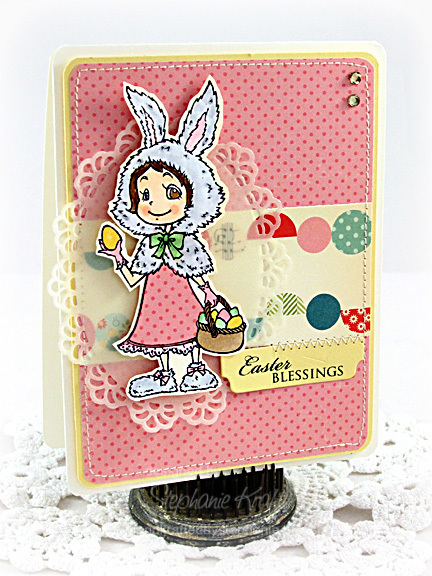 Today we are previewing the final SCRS image, Easter Bunny Ruby and sentiment, "Easter blessings"! I stamped, colored and pieced, then fussy cut this sweet image of Ruby. 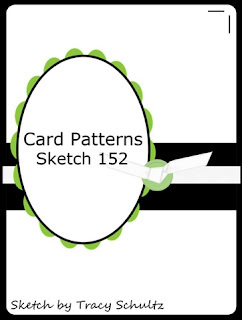 Sparkle Creations is sponsoring this week's Card Patterns sketch, which was the inspiration for my layout. For all the details and to see what you have a chance to win, please visit their blog, HERE. Be sure to visit all rest of the SCRS designers for more peeks of Easter Bunny Ruby. Sparkle will be giving away an Easter Bunny Ruby to one lucky person! For a chance to win, you need to comment on all of the designer's blogs (list below). Then head on over to the and comment on the Ruby post. You have until midnight EST each day to comment. The lucky winner will be announced the following day! Paper: Sidewalks (October Afternoon), Harvest Gold (Papertrey Ink), Classic Crest Classic Natural White (Neenah), Cream vellum. Accessories: Die-namics Mini Tab Foursome, Die-namics Oval Decorative Duo (MFT); Markers (Copic), Rhinestones (Prima), Foam tape, Thread, Sewing machine. Absolutely adorable - loving Ruby's new bunny look! so sweet! 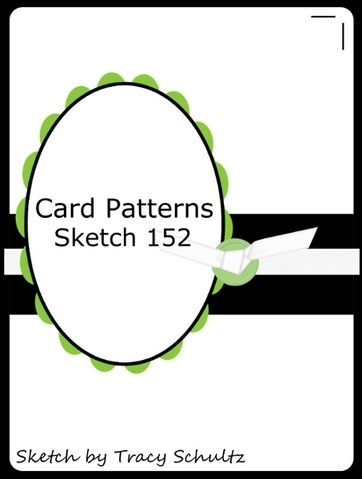 love that you used vellum for the lace oval. lovely card, Steph! Such a pretty card, so cute!